Our Napa Valley Limo Rental Service will take care of all the driving details. just let us know which wineries and golf courses you would like to visit or ask about our recommendations. Our Our Napa Valley limo rental service knows which freeway to take whether its Interstate 80, Highway 50, Interstate 680, or Highway 12. 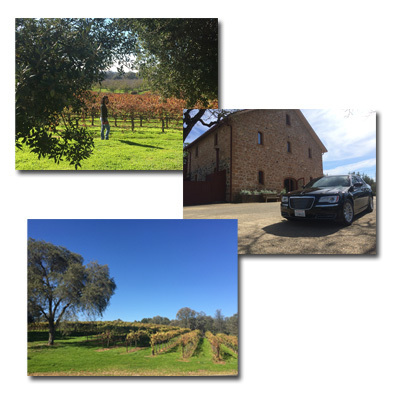 Our Napa Valley limo chauffeurs will do all the navigating for you. Give us a call to discuss your plans. One of our limo chauffeurs will meet pick you and your party up and whisk you away to the Napa valley countryside. Napa Valley is one of the top destinations in Northern California. Whatever your plans are – a business day with a new client, the date of a lifetime, or a sophisticated wine-infused getaway with the love of your life, Napa Valley is among the best of the best. With all the wine and cheese going around, our Napa Valley limo rental can get you to your destinations, safety guaranteed. Everyone gets to have fun without the worry of a designated driver. Our Napa Valley Limo Rental takes the hassle and stress out of getting around Napa Valley, Sonoma, Calistoga, and the surrounding areas. Plan your Napa Valley vacation with us! Are you planning a week or weekend getaway in wine country? Give us a call to discuss your plans. Our Napa Valley Limo Service will be there for you in whatever capacity you need. Give us your itinerary or just ask our chauffeur to whisk you away. Whether you have plans or no plans at all, Bay Area Car Service has options for you. Our Napa Valley limo rental also offers SUVs, sedans and multi passenger vans. With all of our Napa Valley vehicles, you can rest assured that your ride will be cool, comfortable and will get you there exactly when you want to be. There’s no waiting, no settling for the sketchy driver in the smelly taxi – our chauffeurs are safe, affordable, and can take you wherever you want to go in the Napa Valley. Book your Napa Valley Limo Rental here! Tour the wineries in style with our Napa Valley Limo Rental Service!